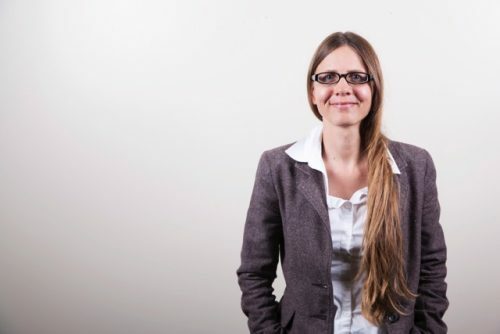 Cognitive neuroscientist Susanne Jaeggi talks about her latest research on interventions to improve cognitive skills and discusses whether electrical stimulation might enhance the benefits of cognitive training. Meeri Kim: Your research focus is on cognitive training using various interventions — and particularly, the transfer effects that may occur as a result of training. Could you describe what transfer is, cognitively speaking? Susanne Jaeggi: Most of my research is aimed at developing targeted interventions to improve very basic cognitive skills, such as attention and working memory. But the goal down the line is not only to improve those skills that are specifically trained, but also to improve people’s performance in other tasks that were not directly part of the training. We call such improvements that generalize beyond the training itself “transfer effects”. The idea behind our interventions is that if we can improve such basic skills like working memory and attention, then we might also see improvements in higher cognitive functions such as reading, math, or problem solving because they tap into or rely on those basic skills. MK: Could you give an example of one of these targeted interventions? SJ: We mostly use computerized interventions, such as game-like interventions, and lately delivered on tablets. The games that we use in my studies are all developed in my lab —my team consists of psychologists, neuroscientists, and education scientists, but also software developers, and computer scientists. We usually base our games on established cognitive tasks to assess working memory or attention, and then we translate them into a game that is adaptive: If you are getting better at a task, it becomes more difficult, and accordingly, the task becomes easier if you make too many mistakes. The training regimen that we have used the most is based on a so-called n-back task. You would see objects on your tablet one after another, and your task would be to tap on the screen when the object you see now is the same as the one just before — that would be the easiest, that is, a 1-back level. If you do well, we go to level two. This time you would have to indicate whenever the object you see now is the one that you saw two items back, and so on. Every three seconds, there is a new object where you have to update the contents of your working memory. MK: Have you found evidence of transfer through these types of interventions? SJ: We have done many, many studies that use either these n-back games or other approaches, and we typically see large performance improvements in the games the participants play. So they get better at the task at hand, which is not all that surprising because that’s what they’ve practiced after all. But what we also typically see are generalizing effects in a broad range of different tasks, although the specifics depend on the study, the population, and what we are focusing on. More broadly, we have seen improvements in problem solving or reasoning skills, reading or math in various populations, i.e. young adults, older adults, and children. Last year, we published a meta-analysis of the existing research using the n-back task in a young adult population. Such an analysis synthesizes the work across different laboratories, and we were able to include 20 studies using data of slightly over 1,000 participants. We saw an overall improvement in both reasoning and problem-solving skills as a function of training; a finding that can’t be easily explained by placebo effects. MK: In the last couple of years, the idea of commercial software designed for cognitive enhancement — known colloquially as “brain games” — has stirred up much controversy among the neuroscience community. What are your thoughts on these companies selling their products with claims of making players smarter? SJ: We have to be careful when evaluating these sometimes overly exaggerated promises. Companies have been making claims such as ‘if you play this game for 4 weeks, you will improve your IQ by X% or decrease your chances of developing dementia.’ Such advertising claims certainly go beyond the available data that we currently have as a field. Brain training is diverse in terms of the methods or interventions that people use, including researchers. Lumosity, for example, has over 50 different training games online, and for a consumer it’s difficult to figure out which of those games are maybe useful versus not. There have been a few studies published using programs like Lumosity, and the evidence is somewhat mixed — some people do find some transfer effects and some don’t. But again, it could be because the studies used different procedures, such as different selections of training tasks or different populations. MK: Lastly, I am curious to hear about your use of electrical stimulation to enhance cognitive training. What does an electrical current do for the brain, and how can it facilitate learning? SJ: We’re doing something called transcranial direct current stimulation with young adults, which works by delivering very low current using a very fancy 9 Volt battery via electrodes that are placed on the head. We apply this technique during working memory training, and we’ve been specifically targeting the prefrontal cortex. That current doesn’t actually cause any action potentials to happen in the brain, but it is believed to lower the threshold for the firing probability of neurons. As such, it provides a small window of enhanced plasticity, and that’s what we try to capitalize on when we pair that technique with a learning paradigm — the electrical stimulation should allow people to learn or acquire skills faster. We have just published a paper in the Journal of Cognitive Neuroscience in which we actually see that people who got the stimulation showed a steeper rate of learning over the course of seven sessions compared to a sham condition, and they also retained these benefits for a longer amount of time after training completion, suggesting that brain stimulation might be a viable approach to boost the benefits of cognitive training. Susanne M. Jaeggi is an Associate Professor at the University of California, Irvine directing the Working Memory and Plasticity Lab. She received her habilitation in Psychology from the University of Bern, Switzerland, where she also earned her doctoral degrees in Cognitive Psychology and Neuroscience. Her research focuses higher cognitive functions, and within that domain, she investigates what training interventions result in improvements in those functions. She also investigates for what populations and individuals cognitive training might be most effective and why.